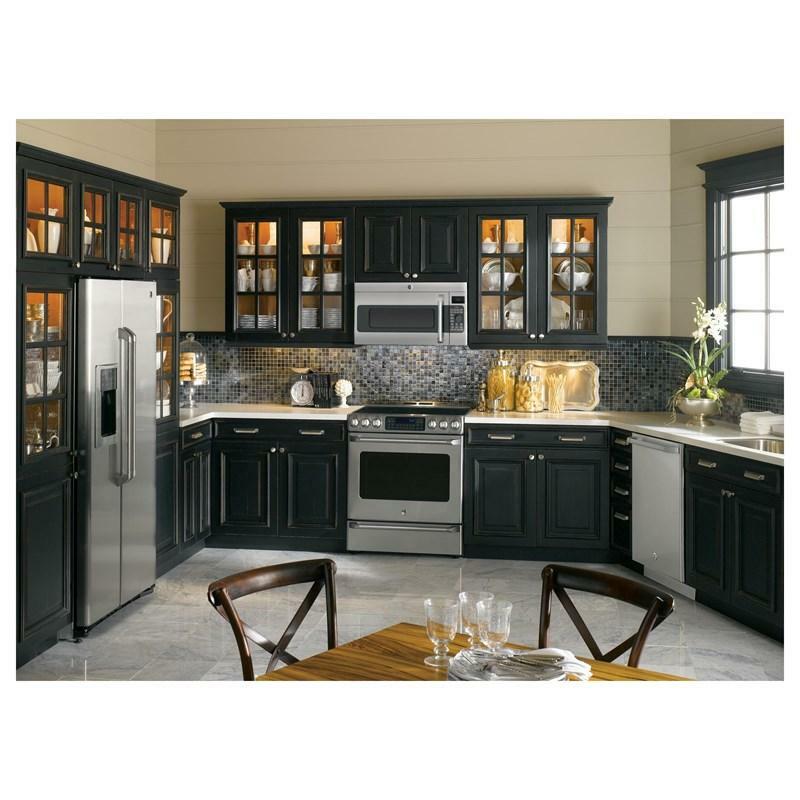 GE Café Ranges CS980STSS (Freestanding Electric) from Hills Flat Lumber Co. 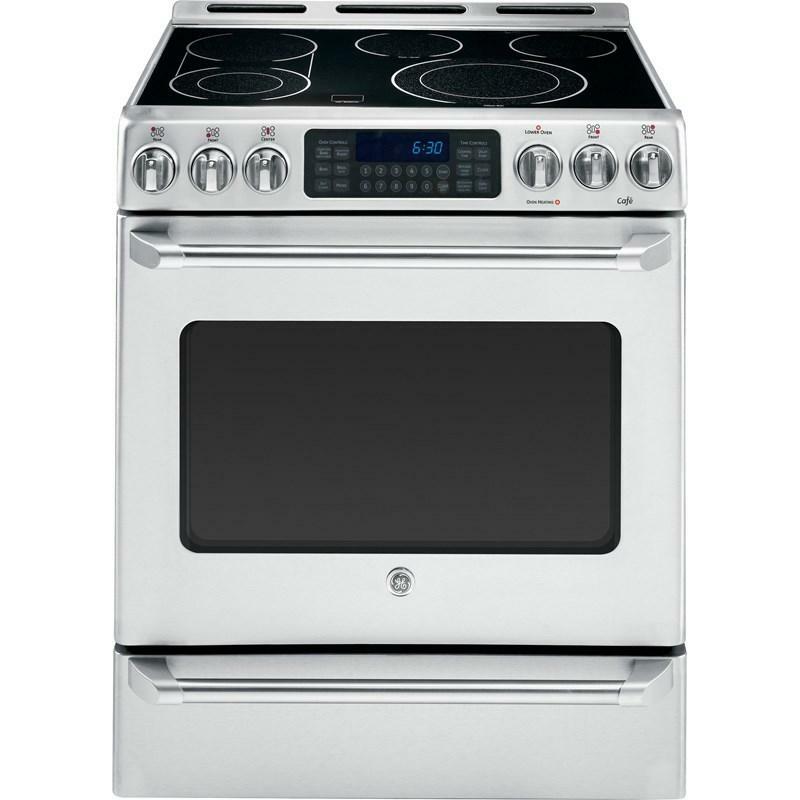 This GE Cafe™ 30 in freestanding electric range with baking drawer features a 6.4 cu. 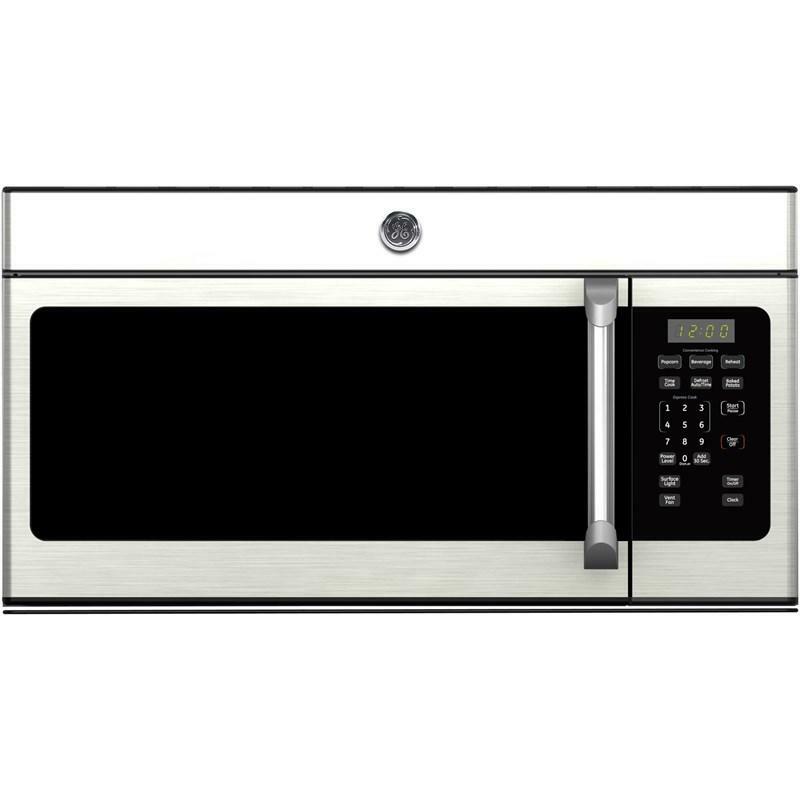 ft. total capacity, a big ClearView™ oven window which offers a wide view of the food, the TrueTemp™ temperature management system, and a self-cleaning oven for easier cleaning and maintenance. 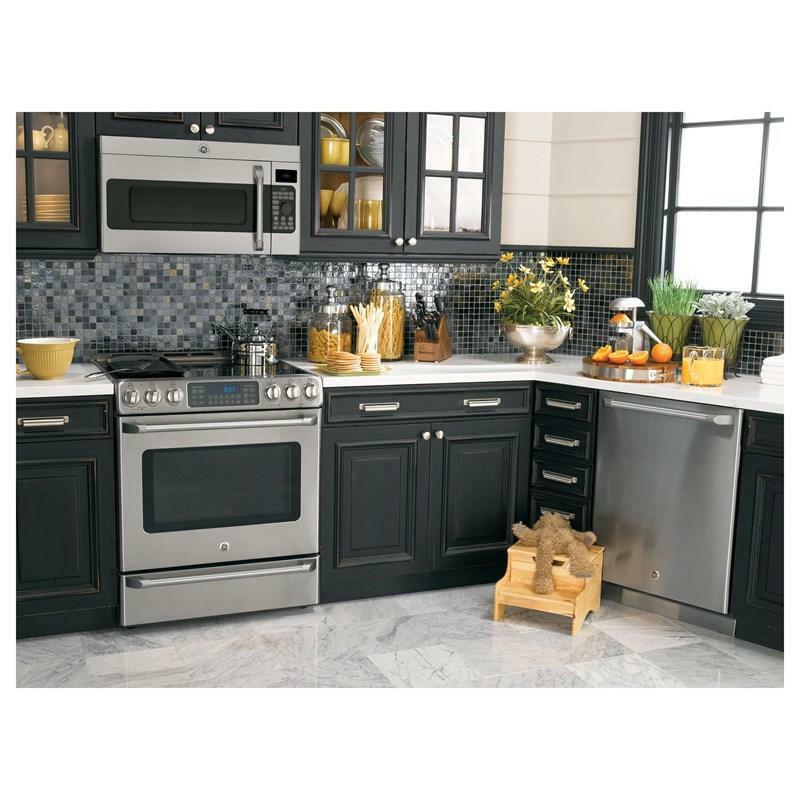 Also featuring 3 heavy-duty self-clean oven racks, a PreciseAir™ convection system for evenly browned and baked food and a griddle system with pre-seasoned cast-iron griddle for various cooking options, this electric range is the perfect addition to any kitchen. 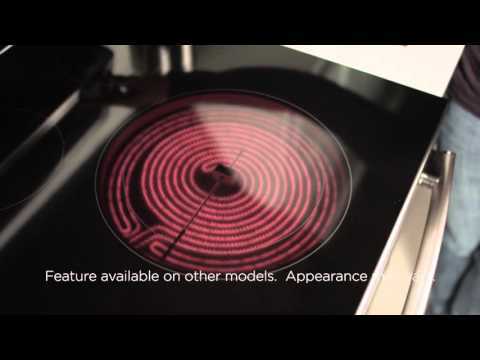 Keeps food warm and boils water in minutes. 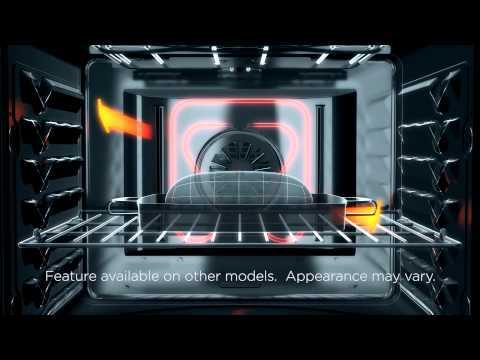 Provides ideal airflow throughout the oven, ensuring optimal results on both racks. 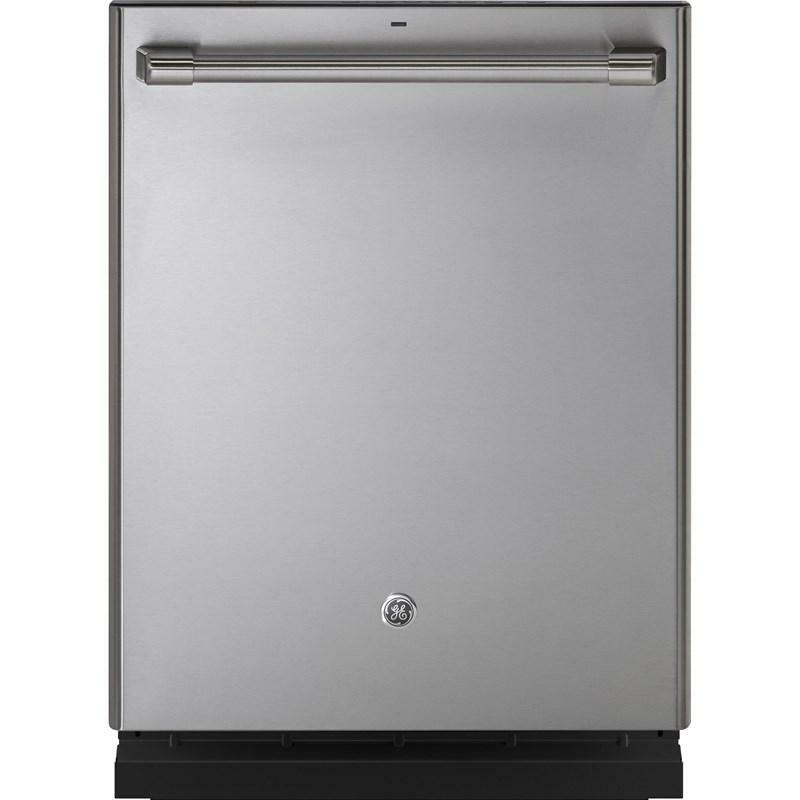 Accommodates various-size pots or pans for the ultimate in cooking versatility. 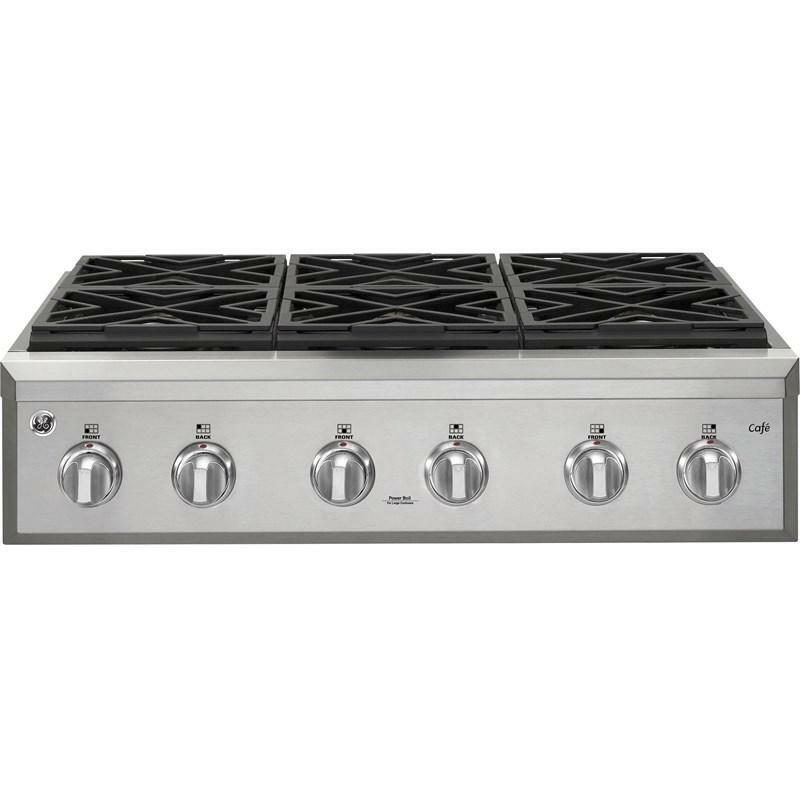 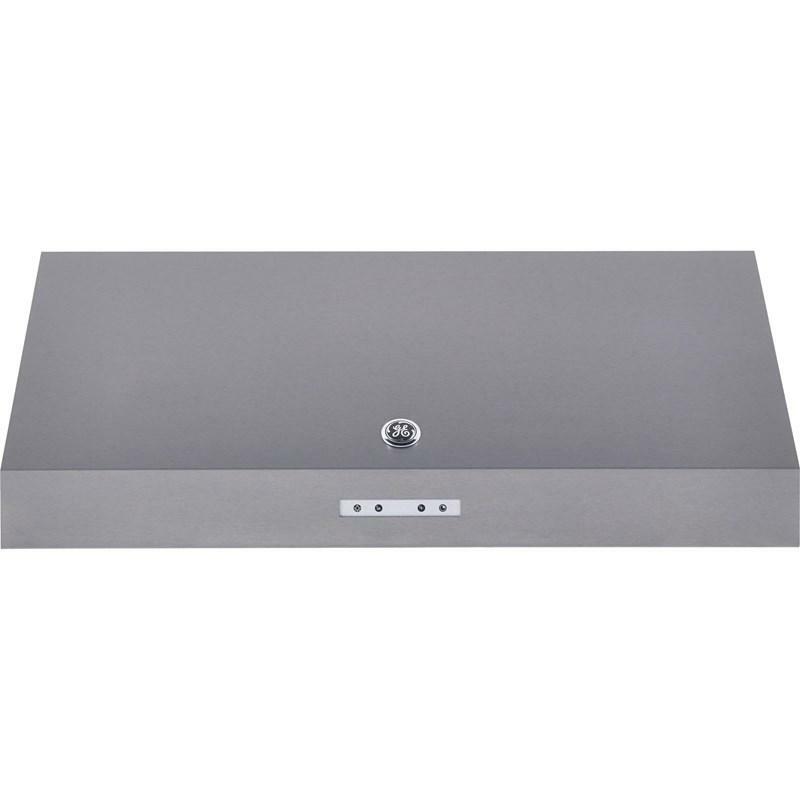 Burner/Element Size • Left Front: 8"/5"
GE Café Series 30" range hood featuring 4-speed fan control, dual halogen lighting, dishwasher safe filter and electronic touch controls. 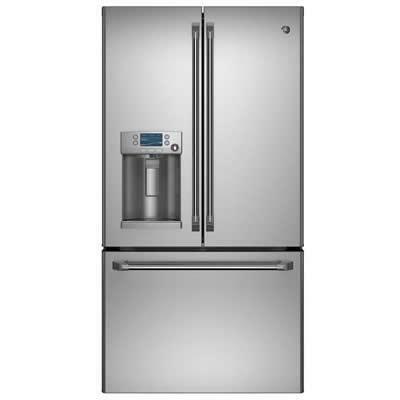 GE CAFE™ Series 4.3 cu. 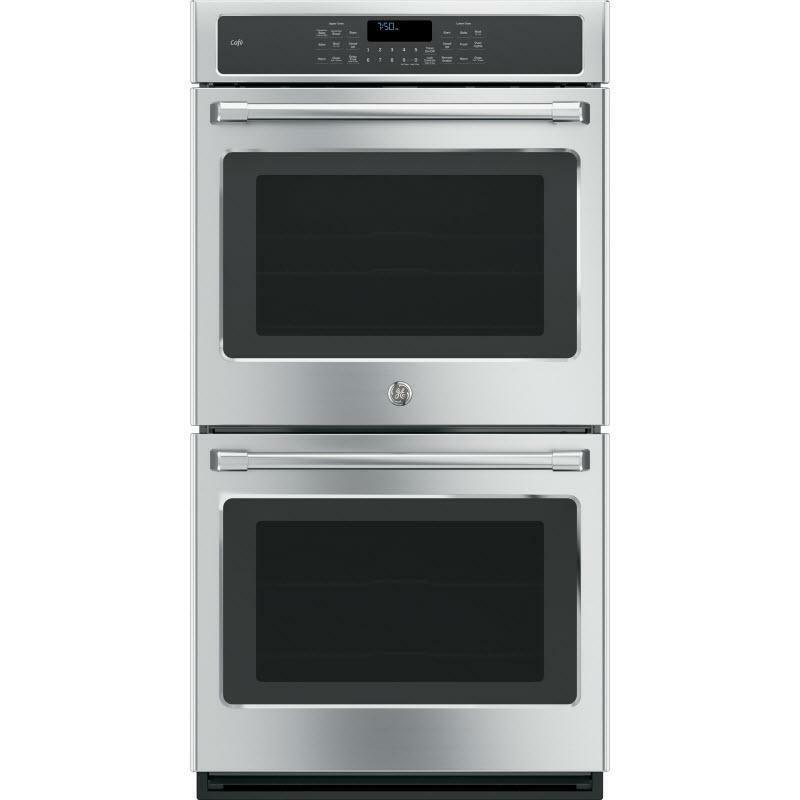 ft. capacity built-in double convection wall oven. 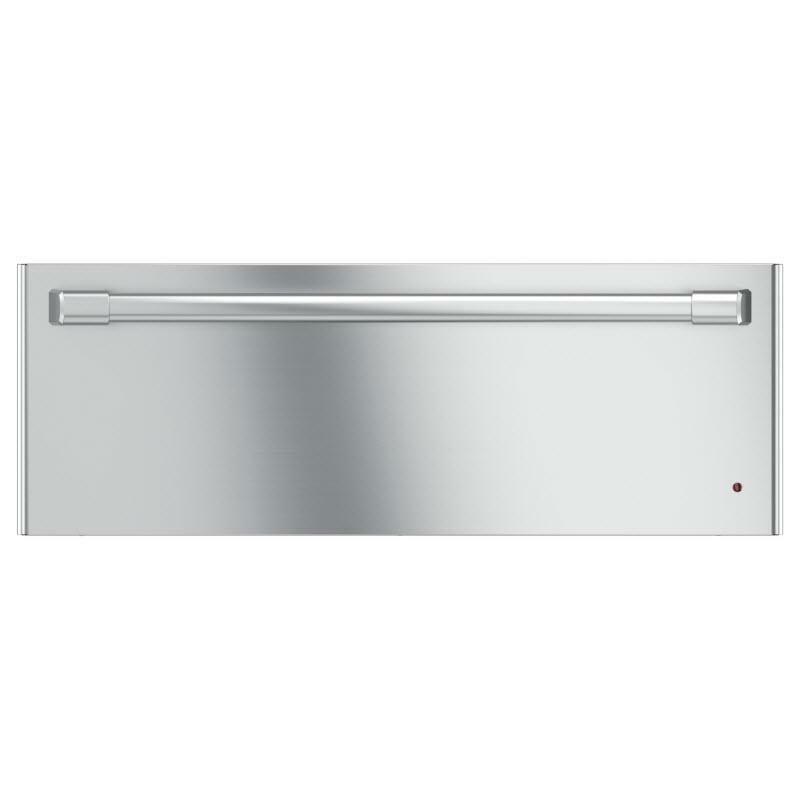 This double oven features True European convection, glass touch controls and Brillion-enabled WIFI connect.